Part of the reason for this change was, of course, ideological. The Government’s desire to create a ‘market’ in admissions at the top end of the qualifications ladder with universities competing for the ‘best’ students resulted, perhaps surprisingly, in some significant recruitment shortfalls in a number of Russell Group universities. There were fewer AAB+ students than expected and it seems likely that some universities were taken by surprise by the challenge of operating in the cut and thrust of the market place. This, combined with a dip overall in student numbers, caused problems for many. Last year was difficult but I’m worried things are going to be a lot worse in 2013. Those universities making lower offers are sending a signal that perhaps A–level results aren’t that important, but ultimately they are at greater risk of undermining their own competitive position by reducing entry standards in what may turn out into a ‘race to the bottom’. So where do we go from here? In the short term we all have to play by the UCAS rules (which should be made more explicit), restate our commitment to the SPA principles and aim to be fair and transparent to applicants. This is important not just so we do the right things by students, especially those from disadvantaged backgrounds, but also to prevent a fundamental undermining of the UCAS system. We are keen to ensure that students who want to come to the University of Nottingham and have the grades are able to come here. 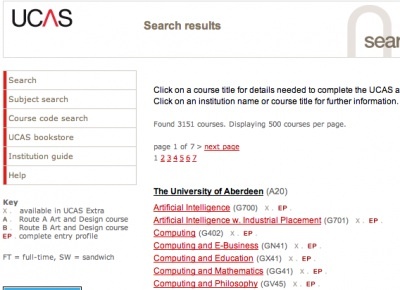 This is what the UCAS system is all about: students making informed choices and a system supporting the holistic assessment of applicants in a fair and transparent way. The huge risk now is that more shenanigans this year will undermine this system. The ultimate consequence if everyone decides to ignore the rules and the SPA principles is a return to the admissions Wild West. This would be costly, unhelpful and hugely inefficient as well as being massively unfair to and stressful for students, particularly those from disadvantaged backgrounds. This surely cannot be in the interest of students or universities. Or indeed what Willetts wants. We need a bit more honesty and some genuine transparency in order to ensure fairness for all. It looked at first that there were going to be some significant issues what with the University of Birmingham’s decision to make 1,000 unconditional offers to students in some subject areas and much talk in the press of fee waivers, bursaries, subsidised accommodation and free ipads as incentives to potential students. Fortunately though my concerns seem to have been largely unfounded and the number of ABB+ students (the cap having been shifted to exclude a larger cohort) was roughly as expected. However, this has nevertheless been a period of significant uncertainty and anxiety, for both applicants and admissions officers. This significant turbulence in the past two admissions rounds is of questionable benefit for applicants although the Minister is presumably content that the creation of this market is ultimately in their interest as providers compete to offer better products and better deals to these consumers. I suspect therefore this is not going to go away, at least for the foreseeable future, and universities will be obliged to operate in this exciting market environment. Given this I would argue that now is the time to ensure the core elements of the system are fit for purpose – to make certain that we have a stable admissions model which works in the interest of applicants and institutions whilst acknowledging that ministers will inevitably want to play at the margins. We do though need to limit the scope for unhelpful interference, address the core principles for fair admissions as set out by SPA (Supporting Professionalism in Admissions), ensure universities can’t subvert or game the system, seek to secure proper information advice and guidance for applicants and address widening participation needs. The route to achieving this would mean change for all parties but I would suggest such change will be in the long term interests of everyone. Fundamental to this is moving away from admissions based on predicted grades to a system of admission on the basis of grades achieved, ie post-qualification admissions (PQA). This has been proposed previously and historically there have been many objections – especially around exam board marking arrangements and universities’ teaching timetables. Whilst solutions to these have become feasible they have been replaced by new concerns particularly around fairness to applicants, information, advice and guidance provision and ensuring wider participation. There was a widely held view that, in principle, a post-results system would be desirable. Aspects of the proposal for application post-results were attractive to some, but it is clear there are too many systemic problems with the post-results proposals to support implementation. Respondents felt that applying with results would not necessarily support applicants aspiring to the most competitive courses and concerns were raised about potential negative impacts on widening participation and less well-supported applicants. Loss of teaching time, the impact on standards of achievement, the potential for a more mechanistic approach to the assessment of applicants and the lack of time and resources to provide IAG at critical points were also major concerns. In the review many detailed objections were raised to PQA but each of these can be overcome in practice if the will is there. …Ms Curnock Cook had a “word of warning” for universities cheered by the better figures. “This year you’ve managed to get more [students] in at 18,” she said, but added that “you might pay for it” in 2014-15 because there would therefore be fewer 19-year-olds to recruit in that cycle. Ms Curnock Cook also remarked that the clearing process was no longer used to recruit “the dregs” any more, and speculated that it could even remove the need for an admissions system based on students’ actual, rather than predicted, grades. 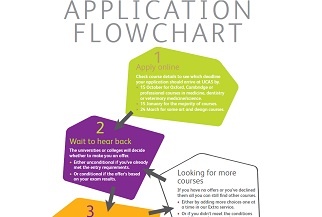 “Every year I get asked: isn’t it now time to go for a post-qualifications applications [system]? My answer is that we already have PQA: it’s called clearing,” she said. I disagree with this view. If we were designing a system from scratch we really would not start with the idea that students should apply to university with predicted rather than actual grades. The current set up, whilst historically understandable, is logically indefensible. Academic qualifications are the primary indicator of capability to pursue a course of study. 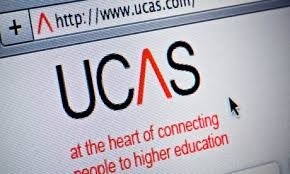 It is logical, fair and sensible to put them at the centre of the admissions process and this should be the basis for our national application system, run by UCAS. The time has now come for change. The starting point should be to decide that we are going to introduce PQA from, say, 2019 entry, and the challenge then is to create the conditions within which this will happen. Whilst I fear it is inevitable that ministers will introduce more changes – if we establish clearly now how admissions will operate in future this will bring lasting benefits and reduced the potential impact of future ministerial tinkering. Stability in the admissions system will be helpful to HEIs but will also work in the interests of applicants, ensure proper attention is paid to widening participation and be fairer. So, let’s go for post-qualification admissions. Now is the time to decide to make the change to PQA.